Bored? Lonely? Looking to get away from it all and blow something up? 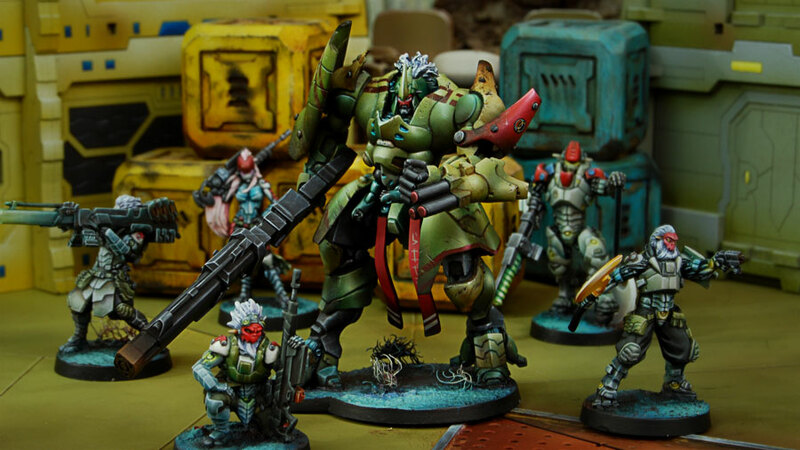 Infinity offers their first scenario and campaign sourcebook and at last we get to hear more about the planet where Humanity hangs in the balance; Paradiso! This one planet has all factions of the Human Sphere fighting amongst themselves and joining together against alien threats. Here, the Combined Army begins to test Humanity’s defenses and has found them wanting… The mysterious Tohaa have appeared and offered their help against the Combined Army, but are they really just using Humanity as a speed bump? The second of Humanity’s two colonial ships, the Aurora, crash landed on Paradiso after failing to reach its original destination. While the ship Dawn managed to land and thrive on Ariadna, this one had a very short life. Initial reports suggest that the survivors of the Dawn ship emerged only to find themselves surrounded by hostile life and an unexplainable virus. In order to preserve and protect Humanity, they decided to detonate the ship and the virus. This was the story we accepted. Spoiler Alert: The Tohaa had a lot to do with this little part of Human history!! Nowadays, the planet is teeming with all kinds of life and there are many scientific experiments being conducted. The Haqqislam, Pan Oceania, and the Yu Jing all have major influences on the planet and you’d think a full military invasion would bring them together. All have suffered against the onslaught of the Combined Army and while there is at least an effort of cooperation, the separate factions still guard against each other as much as they do against the alien threat. The introduction of the Tohaa race has made Humanity pause at the very least. These new aliens have made a concerted effort to contact us and ensure they’re support against the Combined Army. They certainly have been fighting against the EI and the Combined Army for many years, but their actions suggest they may be using Humanity as a buffer against their old foes. Still, their knowledge and extra troops are a welcome addition to the overall effort. Good news and bad news folks. Bad news is that the Combined Army opened their own wormhole and they invaded the planet after passing right through our defenses. Good news is that the wormhole is far enough away that it doesn’t interfere with our access to the system. The most impressive naval action in the history of humanity and all the nations are contributing what they can in this first act of cooperation. Several rings of naval defenses stand between the Combined Army and Planet Paradiso yet the war rages on. While the initial invasion of the Combined Army destroyed a great deal of the Yu Jing and Pan Oceania forces, the Nomads and Ariadna contributed some help while the major factions of the O-12 geared back up. 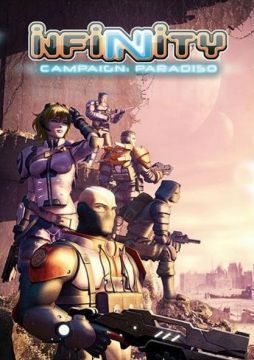 While the Nomads still perform missions and procure things for the right buyer on Paradiso, the Ariadna have formed expeditionary forces that help fill the O-12 armies protecting Paradiso. As it stands now, some Morat troops along with the Shasvasti infiltrators sneak by, but unfortunately most of the enemy landed with the initial invasion and they are hard at work. Humanity is facing it’s assimilation or annihilation from the Evolved Intelligence but refuses to face the threat together…do we deserve to survive?